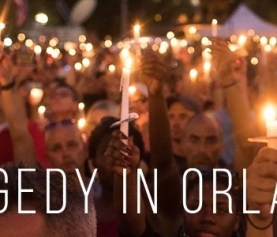 Orlando, Florida was a city with a very different connotation before that night. The happiest place on Earth turned into a place of fear, hate, and death. By now the news has circulated, and you all know of the gunman that shot down Pulse nightclub. I will not mention his name here, for this blog is not for him. I will not showcase the hatred and prejudice of this individual, encasing his name in infamy- no. In this blog we are going to be talking about the victims. Everyone has a story; some stories are stopped short by an individual with a legally purchased firearm. No one knows this better than the families of these forty-nine young men and women that were murdered in Pulse that night. These men and women that were killed in the deadliest mass shooting in modern U.S. history have been condensed into a number: 49. While I cannot know what these people were thinking when their futures were taken from them, I know that this cannot happen again (Orlando Shooting CNN Coverage). Of course, this tragedy has sparked debate instantly, but there is an important piece that we must all understand. There is no democrat or republican in light of such a tragedy; this is a human issue. This is a piece of history that still hurts and should be treated as such. Yes, action must be taken, because this American gunman is no stranger to us. As movie theaters, schools, and nightclubs become cemeteries, I cannot help but worry for myself and my family to somehow be caught in this kind of tragedy. It can happen to anyone as it happened to the unsuspecting friends, sons, daughter, sisters, brothers, fathers and mothers at this nightclub. Edward Sotomayor Jr., 34, Sarasota, Fla.
Eric Ivan Ortiz-Rivera, 36, Orlando, Fla.
Luis S. Vielma, 22, Sanford, Fla. This is the list. These are the people that the world lost. These are the people that lost their lives that were so full of promise to hate. As news sources around the world cover the political issues and possible ways to prevent a tragedy like this from happening again, take a moment and go to NPR’s article that details the stories of the people that had their lives and their futures taken from them (NPR Orlando Shooting Victims). We can never lose sight that these young people were not simply “gay people at a nightclub”. Sexual orientation does not make a person; it is not the end all be all. Gay, straight, bisexual, or questioning, these people had families, identities, and futures with plans well underway. I mourn for the city of Orlando and this horrible tragedy. May God bless the victims, the families, and the future of this country to be safe from terrorism and murderous violence that is becoming a frequent occurrence in America.